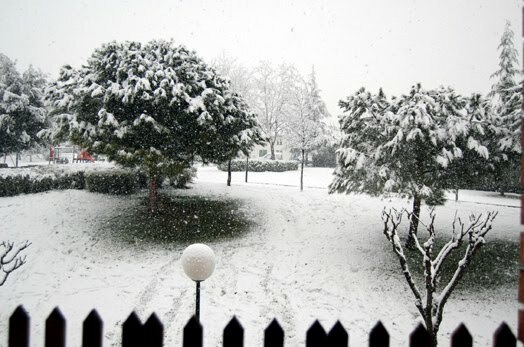 No, this is not Sweeden… it’s the view from my kitchen window! And this is my street! Please British, we want our anticyclone back!!!! This doesn’t seem Spain anymore ;D.
This is just amazing! Barcelona under a white blanket looks so amazing but I guess it’s not so much fun! Oh my! 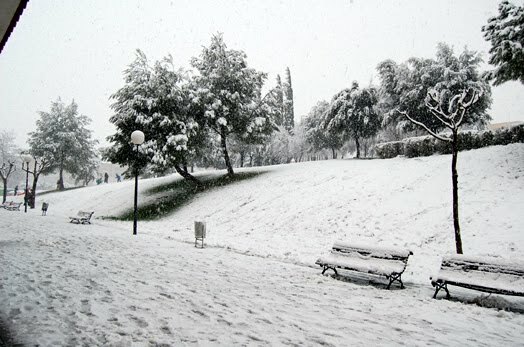 I didn’t think it snowed that much in Spain! Yikes! I hope it gets warmer soon! What is the world coming to when we are counting daffodils on the West Coast in Canada and it is snowing in Spain Nuria. It seems a little off kilter. I can’t believe it’ still snowing there! can you believe we just got another batch of hot, humid days? The world has gone mad! OMG! Sending you warm hugs. Strange weather all over…earthquakes, flooding, prolonged winter. Even in FL we are unseasonably cold for this time of year. But they are beautiful photos! Oh Nuria! It looks beautiful! It has been strange weather. You got more snow than we did in Vermont this winter! LOL! Thank you all for your comments! And thank you Sun for comming back! The snow finally melted although we had 0ºC this morning!!! 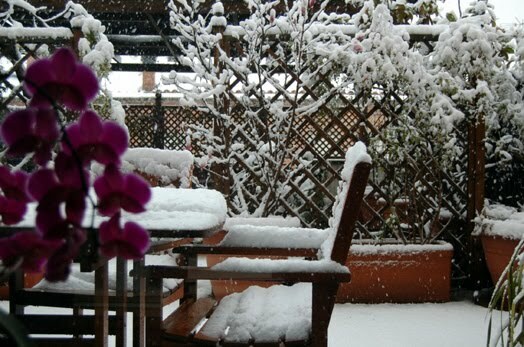 Malgrat tot els inconenients per la població, va ser una nevada preciosa, oi? < Happy Holiday!!!! and some ideas for Christmas dishes.